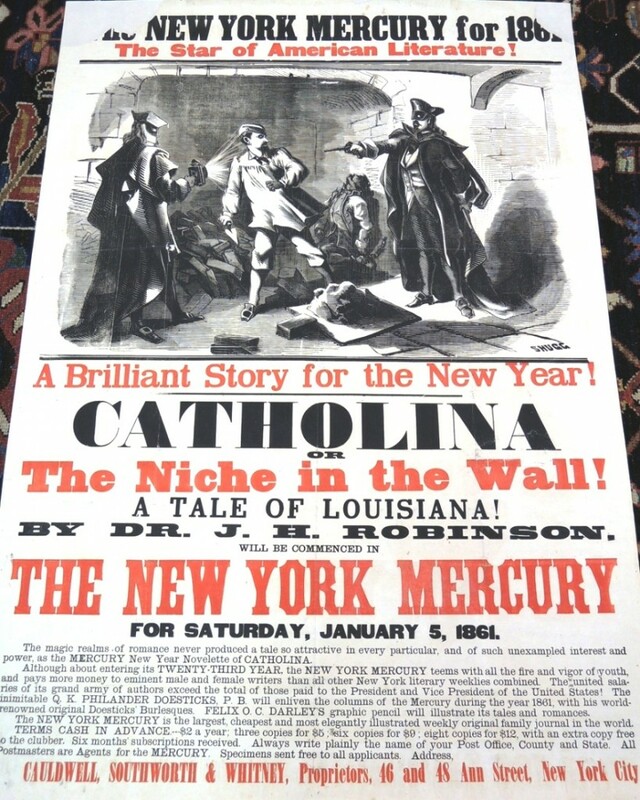 “The magic realms of romance never produced a tale so attractive in every particular, and of such unexampled interest and power, as the MERCURY New Year novelette of CATHOLINA. 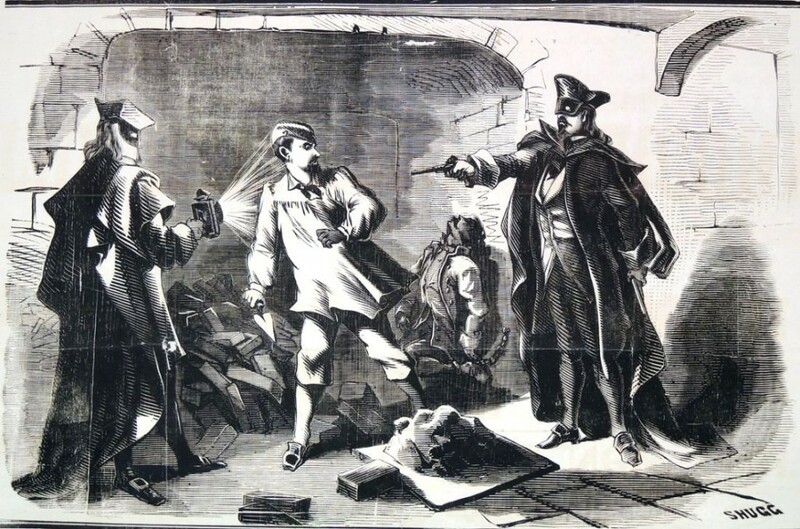 Although upon entering its TWENTY-THIRD YEAR, the NEW YORK MERCURY teems with all the fire and vigor of youth, and pays more money to eminent male and female writers than all other New York literary weeklies combined. The united salaries of its grand army of authors exceed the total of those paid to the President and Vice President of the United States! The inimitable Q. K. PHILANDER DOESTICKS P. B. will enliven the columns of the Mercury during the year 1861, with his world-renowned original Doesticks’ burlesques. FELIX O. C. DARLEY”S graphic pencil will illustrate its tales and romances. This entry was posted in Ephemera on November 3, 2013 by Julie Mellby.